Jamaal Abdul-Lateef was born as Jackson Keith Wilkes on 2 May 1953, in Berkeley, California USA, to Thelma and L. Leander Wilkes, of African-American descent. He is a retired basketball player, best known as a small forward for the Golden State Warriors and Los Angeles Lakers in the National Basketball Association (NBA) . So just how loaded is Jamaal Wilkes? Sources state that Wilkes has collected a net worth over $1 million, as of mid-2017. His wealth has been established during his basketball career from 1974 to ‘85, as well as through his involvement in the financial and real estate industry. Wilkes grew up in Ventura, California along with his four siblings. He attended Ventura High School, where he became an All-CIF basketball star. After moving to Santa Barbara in 1969, he transferred to Santa Barbara High School for his senior year, helping his team achieve 26 consecutive wins and reaching the play-off semifinals that season. He then enrolled at the University of California, Los Angeles (UCLA), joining its basketball team, the Bruins, and becoming one of the most valuable and awarded players in school history. During his three seasons at UCLA, he was a two-time consensus All-American, as well as All-Pac-8 performer and a senior captain. Teamed with Bill Walton, he led his team to win the 1972 and 1973 NCAA titles, and to place third in 1974, averaging 15.0 points and 7.4 rebounds per game, and shooting 51.4 percent from the field. In addition to his brilliant court performance, Wilkes was also honored for his academic performance, being one of only three Bruins in the history of the UCLA to earn Academic All-American honors for three consecutive seasons (1972-74). He majored in Economics. Wilkes was selected in the first round as the 11th overall pick by the Golden State Warriors in the 1974 NBA Draf;.his net worth was at its start. He proved his talents already in his first season with the team, becoming the NBA Rookie of the Year as well as a member of the Golden State NBA championship team. He remained for two more seasons with the Warriors, which greatly contributed to his popularity and to his net worth as well. In 1977 he signed with the Los Angeles Lakers, joining another powerful team which made his net worth even larger. During his eight seasons with the Lakers, Wilkes was an essential member of the team, helping to win three more NBA titles, and reinforcing his status as a true basketball star. Leaving the Lakers in 1985, he briefly played for the Los Angeles Clippers, before retiring from professional basketball later that year. Throughout his successful career in the NBA, Wilkes collected 14,664 points (17.7 ppg) and 5,117 rebounds (6.2 rpg), averaging 16.1 ppg in 113 postseason games. He was selected to the All-Star game three times and to NBA All-Defensive Team twice, and winning four NBA title rings. His success enabled him to enjoy great popularity, and to receive many accolades, such as being inducted into the Naismith Memorial Basketball Hall of Fame. His success has also enabled him to amass an impressive net worth for the period. After his retirement, he became involved in financial and real estate services, working as a mortgage and real estate consultant and launching his own company, Jamaal Wilkes Financial Advisors, in 2003. The company, which specializes in wealth management solutions, has served as another source of Wilkes’ fortune. His involvement in basketball, however, did not end with his retirement. In 2000, he served as vice president of basketball operations for the Los Angeles Stars for their inaugural season in the new American Basketball Association, while also working as the team’s consultant. In addition, Wilkes has been one of the authors of the book and audio course called “Success Under Fire: Lessons For Being Your Best In Crunch Time”. He has also been involved in the film industry, making his acting debut in the 1975 basketball film “Cornbread, Earl and Me” – now a cult classic – in which he starred as the titular character of Cornbread. All contributed to his net worth. In his personal life, Wilkes was married to Joycelyn Bramlette from 1975 to 1979. Since 1980 he has been married to Valerie Topping, with whom he has three children. 1 Inducted into the Naismith Memorial Basketball Hall of Fame in 2012. 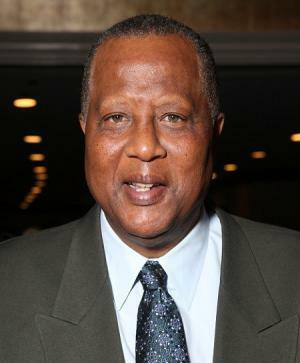 2 Changed his name to Jamaal Wilkes and was popularly known by that name in the NBA. 3 Upon entering the NBA, he converted to Islam and legally changed his name to Jamaal Abdul-Lateef, but retained the surname Wilkes throughout his NBA career. 4 Started at small forward on NBA championship teams with the Golden State Warriors in 1974-1975 and the Los Angeles Lakers in 1979-1980 and 1981-1982. 5 Forward for Golden State Warriors (1974-1977), Los Angeles Lakers (1977-1985) and Los Angeles Clippers (1985-1986).